Do you want to make personal connections with your customers on social media? Interested in better ways to address their wants and needs? The key to engaging with your audience on a more personal level is to focus on the right customer, at the right time and with the right employees. In this article you’ll find out how to create a social media marketing plan to put customers first and improve engagement. This article was written by Keith Quesenberry. 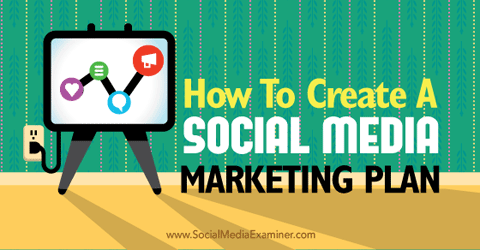 Discover how to create a social media marketing plan. In social media many companies take customer-focused brand messages and customize them into content for each channel. This process is good and effective, but it puts channels, content and messages first and assumes the target audience’s needs are always the same. The reality is that your target audience has different communication needs depending on which stage of the buying cycle they’re in. A customer-centric approach flips content creation from brand first to customer first. Start with the customer’s need and then build the social media process, content and resources around the customer. Customizing content to your audience’s changing needs increases engagement. Here’s how to take a customer-centric approach with your social media marketing. Marketing consultant Tony Zambito believes the buyer’s journey begins before buyers think of themselves as buyers and extends beyond the purchase. The buyer’s goals and behaviors change throughout the purchase cycle, even among the same target market. Zambito has expressed this thinking in terms of B2B, but it applies to social media as well. The steps of the purchase cycle. Image: Shutterstock. Consumers’ needs and behaviors are different when they’re not in the market to buy, when they become engaged in buying and when they become customers. For these reasons, it’s a good idea to make sure your prepurchase, purchase and postpurchase interaction with the consumer are different. Rosalia Cefalu of HubSpot believes different employees are best suited for communicating with customers in different stages of the buying cycle. These employees can come from various departments throughout your company. When you include employees outside the marketing department, one-on-one engagement with your customers becomes more scalable. You can distribute social responsibilities across departments to the most relevant people. 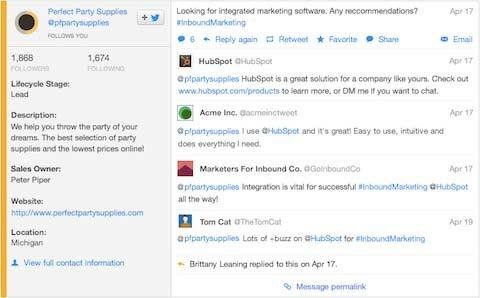 Use a tool like HubSpot to customize social feeds for different departments and teams. Once you identify departments and employees, establish goals for them and customize social feeds or open new social accounts to connect the right employees to the right customers. Setting up a social care team enables you to generate customer engagement throughout the buying cycle to gain new customers, repeat purchases, loyalty and brand advocates. You can customize your social messages and divide social responses with these three consumer personas. In this stage of the buying cycle, you want to find consumers who are in the market to buy, but haven’t purchased from you. 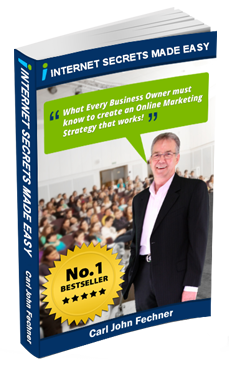 The goal is to find and attract prospects. 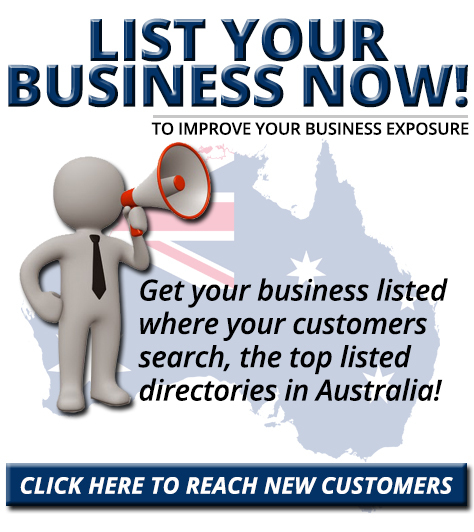 Here you’re looking for people using the right keywords, such as mentions of your company, competitors, industry or specific products and services. Create social media campaigns to grow fans and followers and monitor conversations to engage with those responding. If your company has a public relations or corporate communications department, they may play a role looking for larger industry or corporate issues and identifying journalists or bloggers for media outreach. 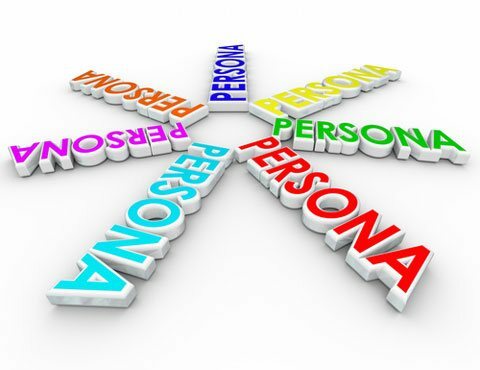 Know how to engage each type of consumer persona. Image: Shutterstock. For this stage, find consumers actively seeking purchase information. Here your marketing team can help these people along with their purchases. However, sales representatives are best suited for more relevant engagement. If you have a retail business, you might empower the sales team to interact with customers on social media similarly to what Zappos.com has done. Or if you’re a B2B company, you could activate sales representatives to address the needs of leads. Connecting the sales team’s contacts list or CRM makes this easier. The goal here is conversion. This stage is where you focus on keeping customers happy, resolving any issues they may have and further assisting them. Care for your customers. Image: Shutterstock. 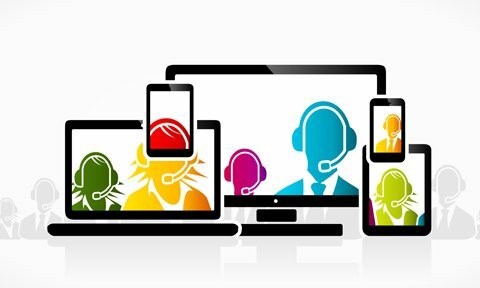 Customer service representatives are ideal for providing what they may already do via the phone, email or online chat. The goal is to delight customers, minimize negative comments and promote the positive. This stage is where customers can become brand advocates. Automation could also play a role such as for scheduling follow-ups in a week or two to find out if customers are still happy. The gourmet burger chain Five Guys knows customer-centric social media. They’ve been able to boost engagement by connecting directly with individual customers instead of simply talking at their target audience with general brand messages. The company has over 1 million loyal followers on Facebook, Twitter and Instagram. And they plan and monitor their social media efforts with Hootsuite. Five Guys Facebook Page has over 900k Fans. Image: Placeit. 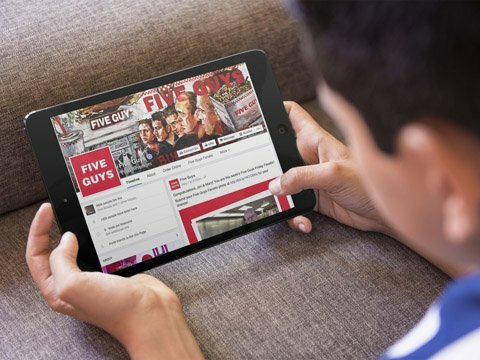 Here are a few ways Five Guys uses social media to connect with customers. Five Guys’ approach to social media begins with service and is driven by a process that empowers employees to connect with the right customers at the right time. Connecting individual customers with front-line employees via social media has enabled Five Guys to be a more customer-centric company, which is a challenge with over 1,200 locations across the globe. Employee involvement in social media has also made Five Guys’ content more personal, sincere and local. Individual Five Guys locations in the United States and around the world have their own social media accounts to communicate locally on promotions, new flavors or products and events that resonate with the community. Five Guys’ employees interact on social locally through franchise location accounts. Five Guys consumer-centric approach enables individual locations to uncover customer feedback, respond directly and make changes that improve the customer experience. Monitoring this type of feedback on a local level is much more efficient, making one-on-one engagement more scalable. Customer-centric social media produces satisfied customers who often become brand ambassadors, generating buzz and sharable content. With Five Guys’ #SayCheeseSweeps campaign, customers hashtagged photos of themselves with Five Guys cheeseburgers for a chance to win prizes. It resulted in more than 1,000 mentions on Twitter and Instagram. The consumer-generated content was shared across all of Five Guys’ social networks. This campaign was such a success that they launched a second campaign using the hashtag #ShareYourShake. 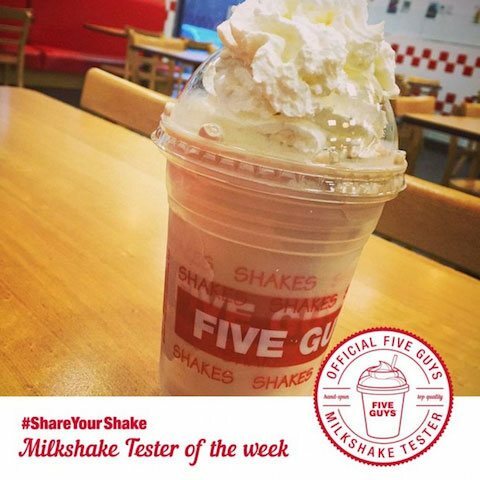 Five Guys’ consumer-centric approach pays off with plenty of user-generated brand content. If your social media marketing is using a customer-focused (but still brand-first) model, it may be time to consider a customer-centric approach. Before you do anything, start by listening. Identify which buying cycle categories your target audience goes through and which people in your organization are best suited to engage with each consumer persona. Then set up a process and training to connect the right customers with the right people at the right time to scale your engagement and improve your social media marketing results. What do you think? Have you tried a customer-centric approach in your social media marketing? What tactics do you use to make personal connections with your customers? Please share your thoughts in the comments below. 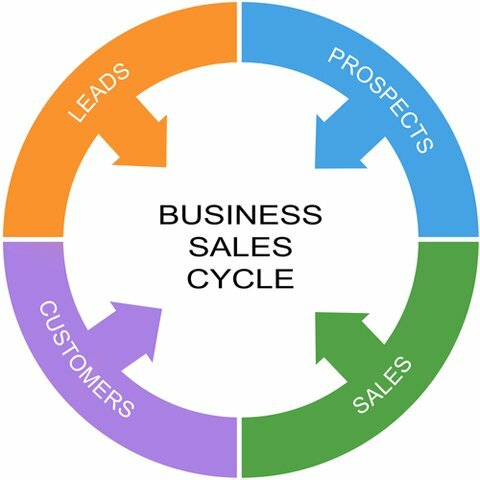 Sales cycle photo, Persona photo and Customer service photo from Shutterstock. Five Guys Facebook Page image created with Placeit.